I popped into ASDA for five minutes after work and found myself (as I often do) in the beauty aisle. I’m not the biggest fan of Collection makeup. Although I adore their Lasting Perfection Concealer and a few of their Eyes Uncovered Shadow Palettes, I found myself disappointed with their Pressed Powder (very orangy), Speedy Highlighter (dry and moved my foundation around) and Contour Kit (dusty with little colour payoff). Nevertheless, I was intrigued by their ‘Primed & Ready’ collection so I picked up these tinted illuminating primers in both Warm Apricot and Cool Rose. Both primers claim to revive and illuminate the skin, balance out uneven skin tone and prolong makeup wear to minimise touch-ups throughout the day. Their sheer cream formula is similar to my Soap & Glory One Heck of a Blot Primer. They both contain tinted pearls (apricot for warmer skin tones and rose for cool) to ‘lift and illuminate’. When first applied they glide on effortlessly leaving a faint peachy/pink glow to the skin, however when makeup is applied on top this completely disappears. It’s a shame as I thought this was a really interesting idea and hadn’t seen anything like it on the highstreet. Although it does leave skin feeling silky smooth and ready for makeup application it is practically invisible under your base, doesn’t colour correct or even out my skin tone or significantly prolong the wear of my makeup. I also find £4.95 for a primer that contains 25ml of product very expensive from a supposedly ‘budget-friendly’ brand as Collection. 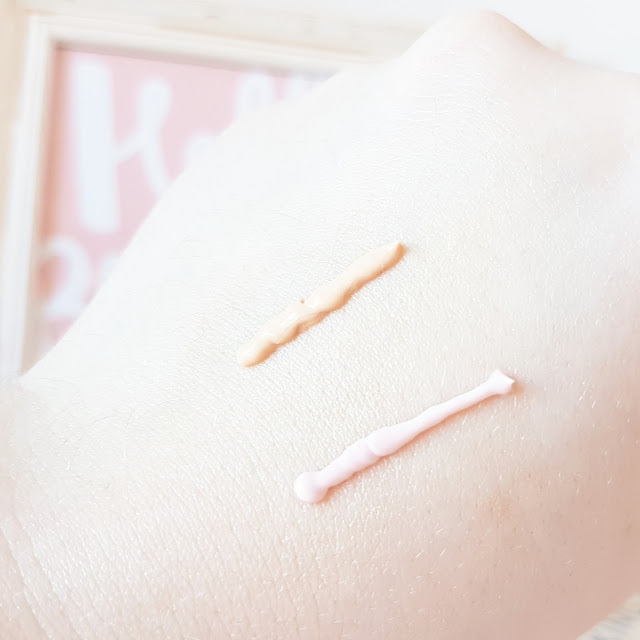 If you’re looking for a similar product I recommend the Seventeen Skin Wow Glow & Prime (30ml/£4.99) which gives the skin a beautiful dewy glow and can be added to your foundation, used as a primer or directly onto your cheekbones as a highlighter. "PUR Fully Charged | Mascara Powdered by Magnetic Technology"
"The New Love of My Life | Nescafé Dolce Gusto Jovia Coffee Machine Review"